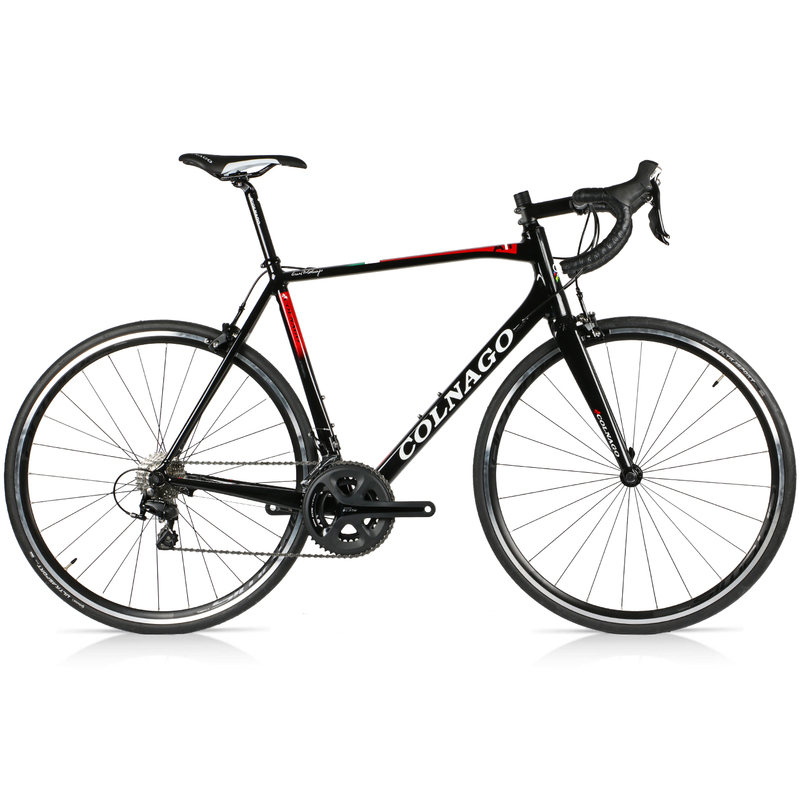 The Colnago A1R 105 aluminium road bike is a modern classic from Italian master bike builders Colnago. Recognised around the world as a bike brand that is rich in craftsmanship and steeped in racing history the A1R reflects their heritage with every functional and aesthetic detail being carefully considered before it’s signed off. At the heart of this bike the aluminium frame has been designed following the legendary Colnago criteria – speed, fluidity, stability and lightness are in its DNA. With a clever construction technique using sophisticated welding technology the A1R provides maximum torsional rigidity without sacrificing comfort while the smooth welds at each frame junction give a seamless, fluid finish closer in appearance to a carbon frame rather than an aluminium frame. With comfort and compliance at the forefront of Colnago’s design brief the A1R also features a 27.mm diameter seatpost which is more flexible than a seatpost of a larger diameter and a full carbon fibre fork to help dampen road vibration while at the same time providing precise tracking and confidence inspiring bike handling. A press fit bottom bracket also helps provide a super-stiff frame junction to ensure that all of your power transfers directly through the frame. A Shimano 105 5800 groupset with a compact Shimano FC-5800 34-50T chainset and a pair of lightweight but durable Colnago Artemis R28 wheels completes this competitively priced package that features plenty of technology that has trickled down from higher specced bikes in the Colnago range. PLEASE NOTE: All of our bikes are built to order. This usually takes between 8-10 working days depending on time of year. This might not be my ideal dream machine (that is one made in steel)... but when there is a price reduction of 700¬ then this bike is simply excellent value. And more to the point it just gets looked at because it is a Colnago. I don't want to be critical... but the seat post is only functional and I find the seat to be painful. The wheels are okay. The Continental tires are a little hard, but again functional. The frame has some very nice details, the welds are super smooth and I really like the engraved Colnago logo on the forks. So what should I change or add to the bike? The seat post and seat straight away. I suppose I would want to change the brakes, if only to have a full 105 groupset (not that there is no problem with the Colnago labelled ones... except to say the front brake is set-up to be on the right hand lever and I like it the other way around, on the left). Otherwise, as always, you always need to add the best set of wheels you can afford... and for me that can wait untill next year. In general very good.